I saw an advertisement at the BJ Complex bus stop two days ago. 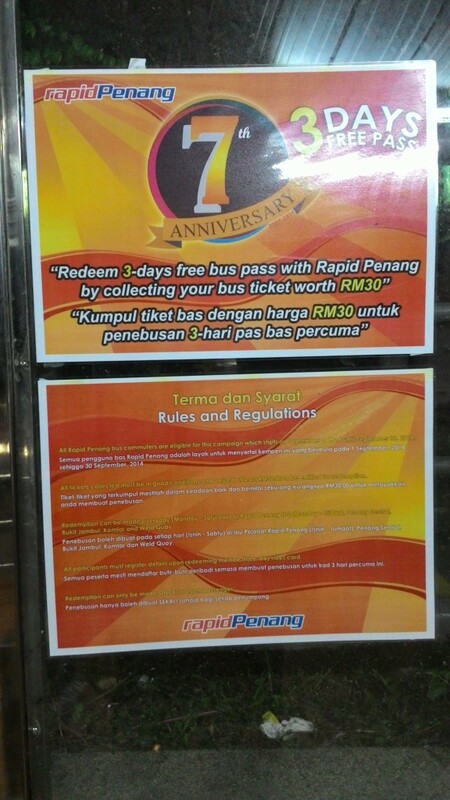 There is a promotion from rapidPenang in conjunction with its 7th anniversary where you can exchange your used tickets for a free 3-days bus pass. The promotion is only valid during this month from 1 September to 30 September 2014. I am a frequent Rapid Penang bus rider. Over the years since I started working at Penang in April 2012, I collect all the bus tickets that I bought. The collection of the used tickets that I have does not represent the total number of bus rides because I lost some of the tickets. However, it still represents about 90% of the total bus rides. 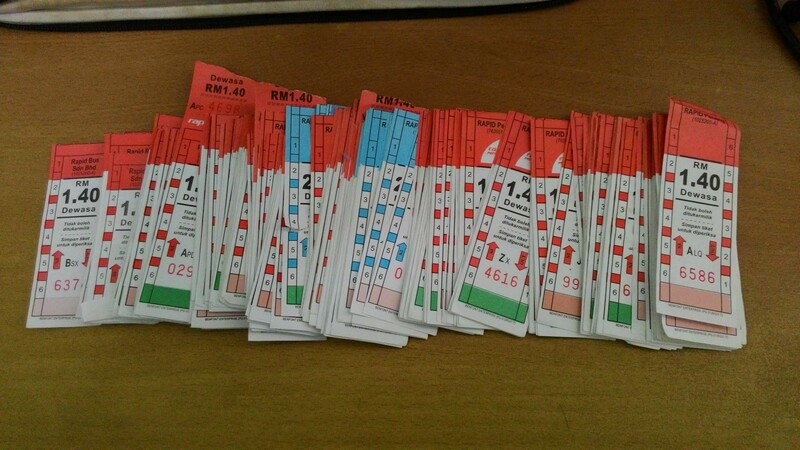 Total tickets: 229 (17 blue, 2 dark blue, 210 red) which worth a total of RM 330.80 (blue = RM 2, dark blue = RM 1.40, red = RM 1.40). 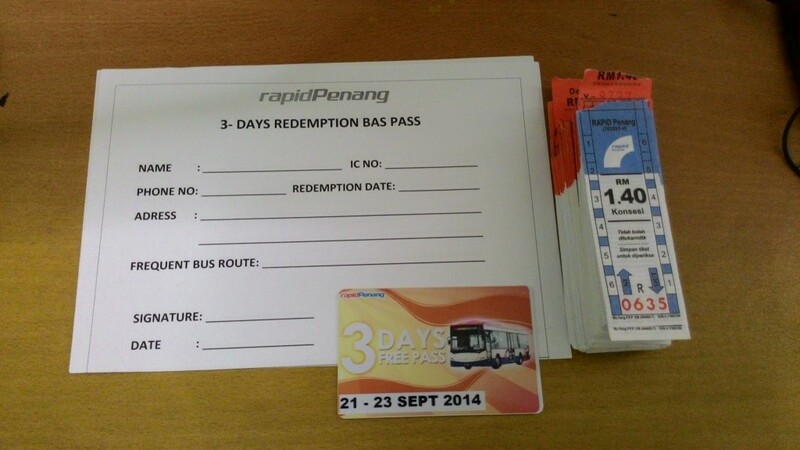 Update 140920: Today, I went to Komtar Rapid Penang Info Kiosk to redeem a free 3-day bus pass. All I need to do was to fill in a simple form (shown in the image above) and hand in RM 30 worth of used tickets to staff and I got a 3-day free bus pass in return. I chose the start date as tomorrow: 21 September 2014 till 23 September 2014. So I can go anywhere within Penang island during these 3 days by bus for free. This entry was posted in Transport and tagged Bus on September 5, 2014 by Chok Leong.